Matthew founded Faust in 1999 and since then has brought many works to the stage, either as director or producer. His directing credits include Peter Pan which, having played in Hong Kong in 2005 and went on to tour Asia; the sell-out hit Oliver! ; The Lion, the Witch and the Wardrobe; Marvin the Monkey Drummer and the Pot of Truth; Imperfect Speakers; The Sword in the Stone; Charlie and the Chocolate Factory; Der Struwwelpeter, The Royal Hunt of the Sun, Tall Iced Low Fat Mocha Frappuccino, No Whip!, Doctor Faustus, Saturday Night Live!, Lord of the Flies and The Crucible - all for Faust International Youth Theatre. Matthew is executive producer of ABA Productions, an international theatrical production company dedicated to creating and promoting a wide variety of performance styles from around the world. Matthew has a PGCE in Drama received from Cambridge University, UK. Keon attended Beacon Hill School and Shatin College right here in Hong Kong and studied Drama and English Literature at Royal Holloway in the UK as well as at the University of Hong Kong. During the past decade he has written, directed and performed in a variety of plays and short films. 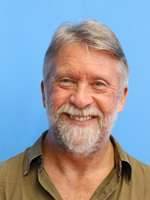 His playwriting and directing credits include theatrical versions of Alice in Wonderland, Pinocchio, Journey to the West, Anansi the Storyteller, original stories such as Rosaline, Beautiful and Beastly, the Kip Marlowe Detective Series, Modern Teenage Fables and many more for Faust. 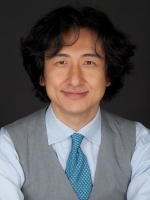 Other theatre and drama highlights include performing the lead role of David Henry Hwang in the Asian Premiere of Yellow Face, directing the opening event for the Hong Kong Literary Festival 2009 and leading workshops on creative writing and directing for the University of Hong Kong. Keon has a BA in English Literature & Comparative Literature, an MPhil in English Literature and a PGDE in English from the University of Hong Kong. Sarah grew up in the UK and studied Community and Applied Theatre at Birmingham School of Acting. Before moving to Hong Kong she worked closely with theatres and youth theatre organisations in the UK specialising in outreach and education. 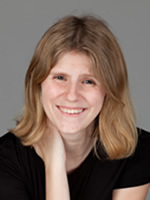 Sarah has worked in Hong Kong for a while writing for and directing children from the ages of 3 to 18 in productions for schools, festivals and performance examinations. She has assisted and produced many original theatre productions for children and young adults. Since joining the Faust team, Sarah has directed Treasure Island, The Jungle Book and multiple shows for The Faust Festival. She has also produced Pinocchio and Group Stage's past productions of King Lear, Romeo and Juliet and The Government Inspector. She especially enjoys writing her own original scripts for holiday programmes and Play in a Day performances. Clara has always been obsessed with the arts and aesthetics from a young age. A self-professed ‘Jill of all trades’ of the theatre world, Clara has been involved in many productions either onstage or backstage across Tokyo and Hong Kong for both adult and children’s productions. Ever since returning to Hong Kong for university Clara has been working in the early childhood educational industry teaching children 6 months upwards. 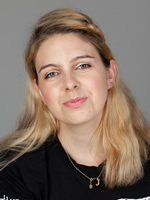 Clara has been a part of the Faust family since 2011 and has directed shows for The Faust Festival and has facilitated makeup and wardrobe for many of the larger Faust productions. Clara hopes to encourage the children at Faust to express their creativity and develop their passion for theatre and performance! 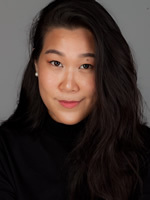 Jonquil grew up in Hong Kong and moved back to the UK to study Acting, Theatre and Performance at the Westwood School of Creative Arts and then Bretton Hall. Whilst she was there she developed her own practice and trained with some of the top theatre practitioners including Sir Alan Ayckbourn and some of the UKs premier contemporary theatre companies. Before moving back to Hong Kong she worked in several theatres, youth theatres and educational establishments as a theatre practitioner. 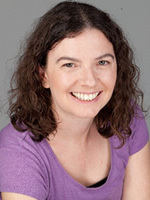 Most recently she was the Education Officer at Harrogate Theatre in North Yorkshire for 5 years during which time she led theatre workshops and wrote, directed and designed many productions for young people aged 6 to 18. She particularly enjoys working with young people to adapt classic pieces of literature into performance. She has already adapted classics Rudyard Kipling’s Just So Stories, Edgar Allen Poe’s Tales of Mystery and Imagination, Lewis Carroll’s Alice’s Adventures in Wonderland and Jules Verne’s 20,000 Leagues Under the Sea. Josephine is a theatre facilitator, director and producer from London. 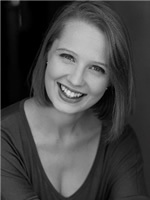 Josephine is currently studying for an MA in applied theatre from the Central School of Speech and Drama. 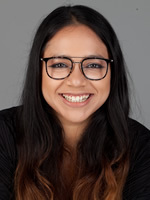 Before joining Faust International, Josephine has created theatre all over the UK with children, young people and those involved with the criminal justice system. She also has extensive experience with inclusive theatre. Josephine also has a passion for films and has directed and produced a short film, You, the Silence and I. She enjoys working abroad and relishes the challenges that come with it, having recently run arts documentation projects in South Africa and Ethiopia. It was during these projects that she discovered a love for film editing. A creative and dynamic practitioner with a good sense of humour, Josephine loves working with young people and helping them to realise their true potential through drama and acting. Josephine is delighted be working with Faust International Youth Theatre and is looking forward to directing productions with them. Ronja grew up in Sweden and ever since she was a child she has had a passion for drama. She specialised in physical theatre at Nordiska Folkhogskolan in Gothenburg and then started working for Teater Albatross, where she directed various productions exploring Grotowski, mine and Commedia dell Arte. In 2012 she moved to London and got her BA (Hons) in Performing Arts at Kingston University and studied more classical theatre such as Stanislavski, Shakespeare, Chekhov and Meisner. Before joining Faust, Ronja taught drama both in Sweden and London for all ages. 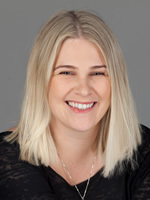 During her last year at Kingston she was Head of Children’s Drama Classes where she also taught for a year, as well as being responsible for marketing and directing the final show. Her wide knowledge from traditional drama to physical theatre, gives her a broad spectrum and interesting content for her workshops. 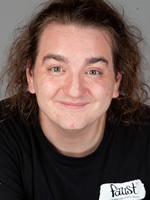 Matthew trained at The Royal Central School of Speech and Drama and graduated with a First Class Honours degree in Drama, Applied Theatre and Education in 2010. He is a dedicated youth theatre practitioner. Central to his facilitation philosophy is high quality final artistic product, a fun workshop process and a belief in the power of drama to change lives. He has 7 years of experience teaching in both youth theatres and theatre in schools, across Asia and the UK. Matthew specialises in developing confidence and communication skills and directing performance in its purest form. He is also a playwright for young people and has written or adapted over 20 plays. Titles include The Life of Elizabeth the First for 8 to 9 year olds, fairy tales such as Cinderella as well as original devised performances. He has worked with a vast amount of young people alternating in age, ability and English Language levels. Alisha has always been a passionate performer and entertainer. Born & raised in Hong Kong, Alisha grew up with a strong dance & acting background and loved performing all around Hong Kong. Always involved in drama events, she has directed, led and participated in many shows. She is best known for her works in international girl group Blush, with whom she signed a record deal and worked as an artist with the producer Quincy Jones. She's now back joining her Faust family to share her professional and personal experiences to educate and encourage the future generations at Faust! 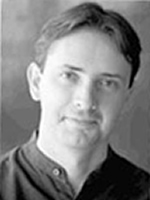 Andy Burt has taught drama and theatre arts at international secondary schools in Hong Kong and Europe, and has taken his students to perform in China, Australia, Thailand, India, Malaysia, Taiwan, and Indonesia. He has many years of theatre experience as actor, director, conductor, composer and arranger, accompanist, playwright, translator, lighting designer, workshop leader and stage manager. An honours graduate from London University, he worked as a pianist at the Laban Centre School of Dance in London. Andy joined Faust in 2003. Emma O’Rourke has loved being involved in theatre since she was 5 years old. She spent her childhood on the stage acting in many school productions and finally went on to graduate from Charles Sturt University in Australia with a BA: Acting for Screen and Stage. After completing her degree she travelled to Italy and joined a touring theatre company where she performed Educational English Shows and ran drama workshops for school aged students throughout the whole country. 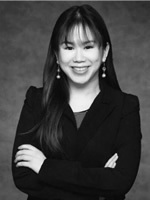 Since moving to Hong Kong in 2009 she has been in a number of stage productions, TV commercials and can even be spotted in a couple of local movies. She has worked as a group leader for Faust for the last 6 years and also performs in the T.I.E Poetry Show Splat. Emma loves teaching students about theatre and helping them to discover their inner confident selves. 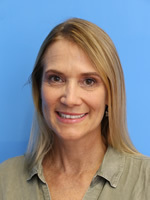 Esme is a passionate teacher with experience teaching younger aged students in Hong Kong for the past 4 years, recently teaching at Woodlands Montessori Academy as a playgroup teacher. She grew up in Hong Kong and graduated from South Island School. She is also a former Faust member and leader and has performed, directed, taught and assisted in Faust programmes for many years. She is currently studying a Bachelor’s degree at HKU in Education and English teaching, with a minor in Social Work. Theatre highlights include being Assistant Stage Manager for The Wind in the Willows, performing the role of Mary in The Crucible, Bob Cratchit in A Christmas Carol and numerous Faust Festival shows. She looks forward to leading students back at Faust during this current term. Born and raised in Hong Kong, Pavetra’s first experience of drama came from family gatherings over food, dance and film. She started teaching drama 4 years ago at Faust where her passion for drama now continues. Pavetra’s work with Faust includes leading holiday programmes, FIYT groups, Play in a Day, Festival Floor Manager and as a Team Leader at St. Catherine’s Kindergarten. She is also involved in Trinity College London’s Speech Communication Arts group, Group Devised Drama classes, and their Graded Examination in Spoken English (GESE) program. 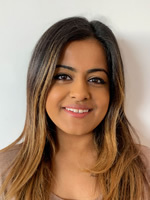 Pavetra has received her Bachelor’s degree through Bradford University (UK) and is excited to share her knowledge with the kids at Faust. Meike graduated from the Performing Arts School in Berlin, Germany. Since then she has been continuously working as a dancer, singer and actress in Germany, Italy, The Netherlands, UK, Greece, India and Hong Kong. Meike’s performance experience includes Rocky Horror Show (Usherette, Dance Captain), Jack and the Beanstalk (Harp), Beauty and Beast (Sister), Cinderella (Stepmother), Romeo and Juliet (Lady Capulet). 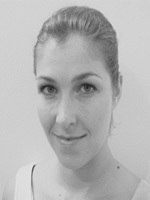 Since arriving in Hong Kong in 2009, Meike has been teaching dance and drama to children and adults all over Hong Kong. She can also frequently be seen on TVB and in several TV ads and commercials. 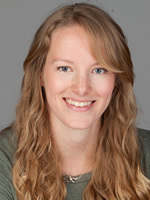 Meike loves teaching children and is excited about working with Faust in the coming season. Nikolay is an award winning actor, director and drama pedagogue from Bulgaria. He has led many international art workshops for educational institutions, youth theatres and universities in Bulgaria, Hungary, Russia and Hong Kong. In addition to his degrees in Acting and Theatre Directing, he has a focus on stage movement in Eastern and European theatre from the National Academy of Theatre and Film Arts, Sofia, Bulgaria. He has also researched different acting techniques from renowned theatre practitioners such as Grotowski, V. Meyerhold, Stanislavski and M. Chekhov. Since 2014 he started to choreograph dance performances with professional dancers from different backgrounds. He is experienced in pantomime, acrobatics, fencing, juggling, clowning, martial arts and dance improvisation. 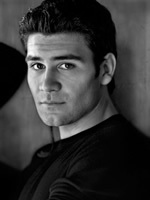 Nikolay is looking forward to share his knowledge with amazing new actors and help them achieve their full potential! Talulla has been performing and writing from a very young age. She graduated from Hollins University with double degrees in Creative Writing and Art History while also receiving training in classical voice. Over the past decade, Talulla has written, directed and performed original work on stage and in short films. Since returning to Hong Kong, she has been teaching drama and creative writing to children and teenagers, and strives to inspire the same passion and love she has for theatre and literature in her students. Page has been fortunate enough to work in the wonderful world of theatre in Hong Kong, South Africa and Los Angeles. After completing her Master’s Degree in Professional Acting, she worked in various facets of the film and tv industries, as well as in the theatre scene in Los Angeles. Favourite roles include Desdemona in Othello, Main in 4.48 Psychosis, Helena in A Midsummer Night’s Dream, and Jess in After the Revolution. Her experience in Theatre in Education began with a travelling production aimed at bringing awareness to various social issues to underprivileged schools. She has since been teaching drama non-stop, specialising particularly in Shakespeare and Elizabethan Theatre. While performing and education has been her main focus, she is also an accomplished theatre director, her biggest achievement being the directing of The Brother / Sister Plays, a trilogy of plays by the Oscar-winning creator of Moonlight, Tarell Alvin McCraney. 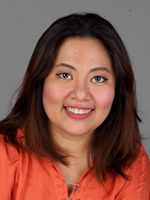 Jaime studied Bachelor of Secondary Education-English at Philippine Normal University and worked as an English Teacher at Our Lady of Fatima University and Dr. Yanga’s Colleges, Inc. She has performed with The Thespian Society, a theatre group who specialise in play production, drama workshops and arts festivals. Jaime joined Faust in 2011, to further her experience within the arts and share her love for performing. Since then she has worked with many different theatre groups helping the young people of Hong Kong prepare for the stage. She also is a contest piece writer for Interschool Meets in her spare time. Reggie is a performer and educator from Hong Kong. With a passion for performing beginning from when she was young, she holds a BFA in Acting from the California Institute of the Arts and has worked globally in theaters in the USA, France and Belgium. Her background in performance in rooted in physical theater, performance art and contemporary experimental work. With a firm belief in the significance of supporting creativity, expression and imagination in young people, Reggie is dedicated to her role as a theater teacher, and is passionate in being a part of the development of children's creativity. Having had experience teaching over the last 8 years, she is excited to share her abilities and knowledge with the students of Faust. 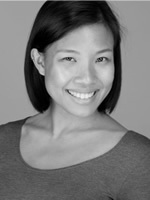 Desiree is a physical theatre specialist and workshop facilitator in Hong Kong. 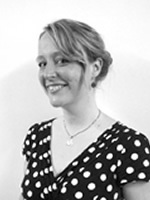 She specialises in curating, directing and managing performing arts projects. Desiree trained with the City Contemporary Dance Company's Wudaoqingnian scholarship programme, at Dancecity in the UK and Hotstepper in Denmark. 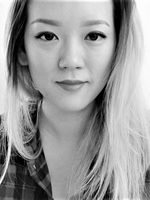 She is an awardee of the Hong Kong Arts Development Council's Cultural Bursary, and worked at the Sage Gateshead in the UK, a world-class performing arts venue. She is often invited to judge dance competitions, including NOVA dance competition and EOMD at KGV.